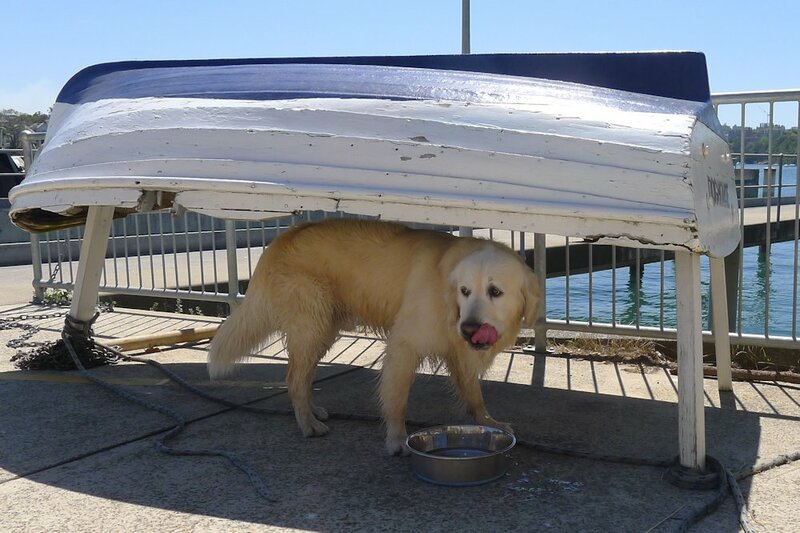 It was a little over two years ago that we visited the newly-opened Deckhouse. Despite being quite disappointed, we vowed to return once they had found their feet and today we ventured back to the location with arguably one of the best breakfast water views. Sitting either in the sun or on the shady side of the deck staring out towards the Bridge, you’ll find it hard to say otherwise! 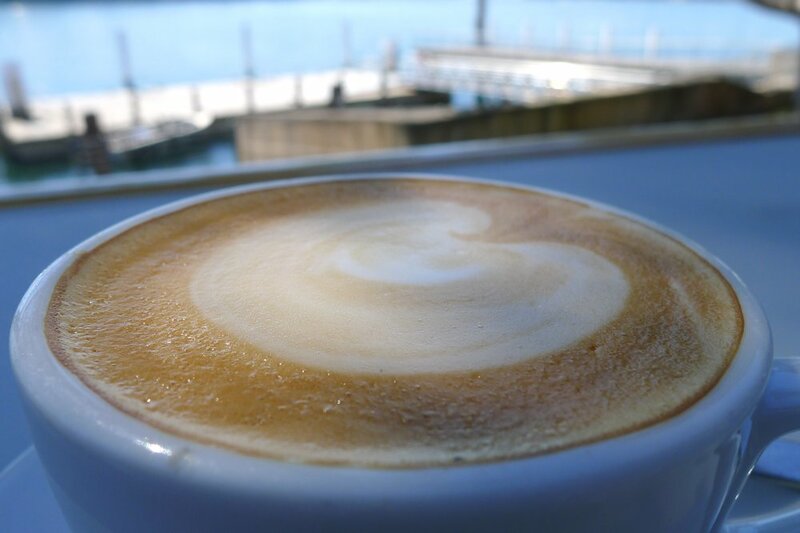 Located on Woolwich Dock, Deckhouse is a short stroll from the carpark at the end of Clark Road. Pets are not allowed on the premises, even on the deck, but neither owners nor dogs seemed to mind as the dogs were tied to nearby trees and could be watched by the owners. Despite the grand interior and professional demeanour of staff, I found the entire vibe very warm and welcoming. The waitstaff were extremely attentive and friendly. 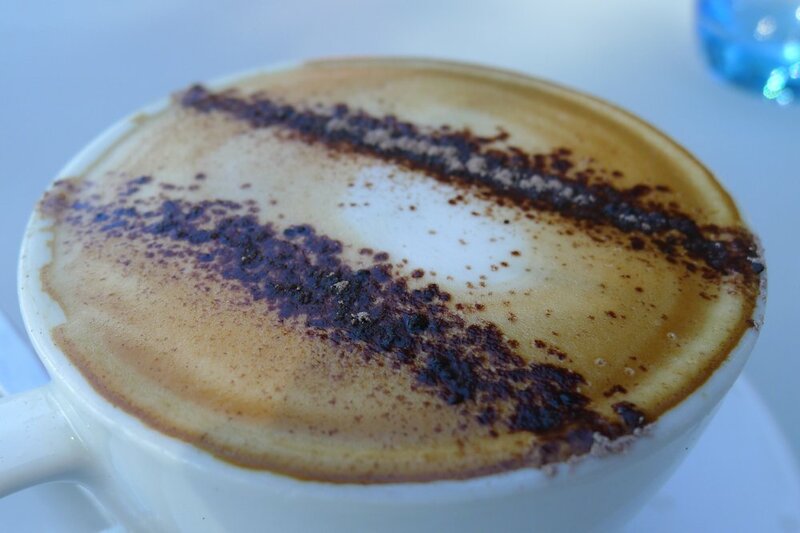 Our coffees ($4.20) were outstanding, the cappuccino delightfully foamy with a flavour worth returning for. Teas , bottled fruit juices and soft drinks ($4.50 each) round out the beverage menu. 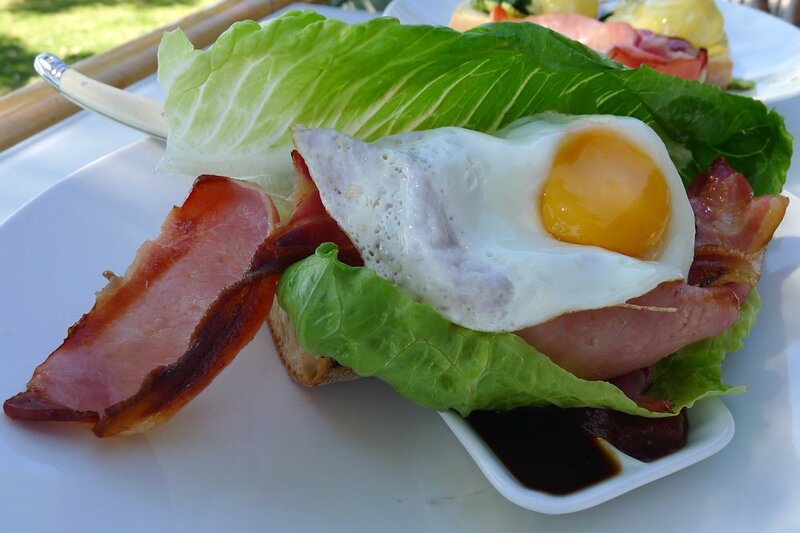 I was slightly disappointed with the serving style of the Deckhouse BLT ($12.50). Expecting a sandwich I could pick up and devour, it was rather served on a thick slice of ciabatta. The ciabatta requires no small amount of strength to cut while the tower of ingredients above rock from side to side, now and again sliding off onto the plate. The flavours were great though. Crisp lettuce, bright fresh tomatoes, tasty bacon and two sauces: a sweet BBQ and a (rather plain) tomato chutney. Together it all works so well but manoeuvring each of the ingredients onto your fork takes a certain deftness. I would order the American style pancake stack ($16) next time simply because it would be easier to eat! The pancakes are served either with bacon, maple syrup and creamed butter or berry compote and vanilla bean ice cream. 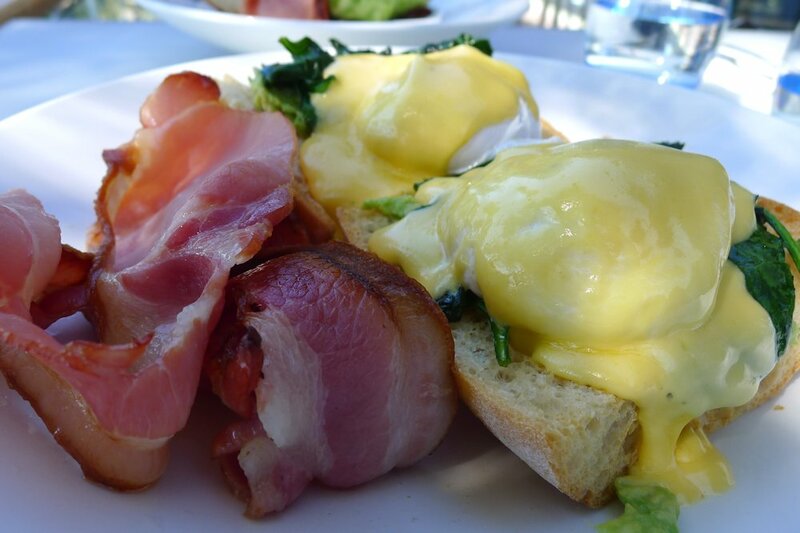 The eggs Deckhouse style on toasted ciabatta are all served with hollandaise and come as either Benedict (double smoked ham and spinach, $17), Florentine (spinach and avocado, $16) or royal (smoked salmon and spinach, $18). My guest too found her Florentine also a difficult dish to handle because of the towering ciabatta. That aside, everything else had been prepared perfectly. With a hollandaise that is the right mixture of runny and firm, delicious spinach and avocado thrown in for texture, the chef knows what he is doing. The waitress said the thick ciabatta is simply his style of doing things. My guest also added bacon for $4. Other tempters on the breakfast menu include honey spice muesli with yoghurt and berry compote ($12.50), Oatley seasoned fresh fruit salad with yoghurt and homemade muesli bar (this looked fantastic, $12.50) and the French toast bruschetta topped with banana, strawberries, ricotta, cinnamon and honey ($15). There is also a section of children’s dishes to please young palates. Don’t read too much into my bitterness towards the thick toast. I admire what Deckhouse has become. I observed professionalism, a relaxing location and dishes that prove the kitchen knows what it is doing. So this time I walked away very impressed the flavours of my meal. 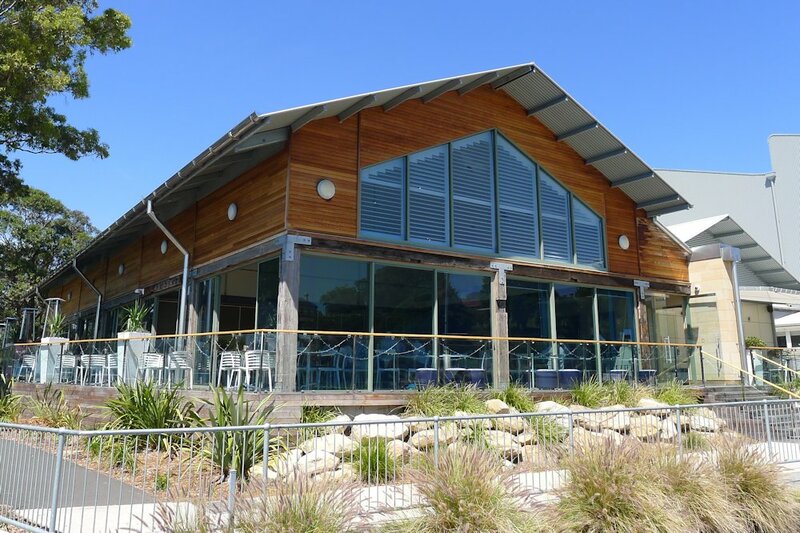 Remember that Deckhouse has a function hall and they are extremely well prepared to host weddings and other celebrations.